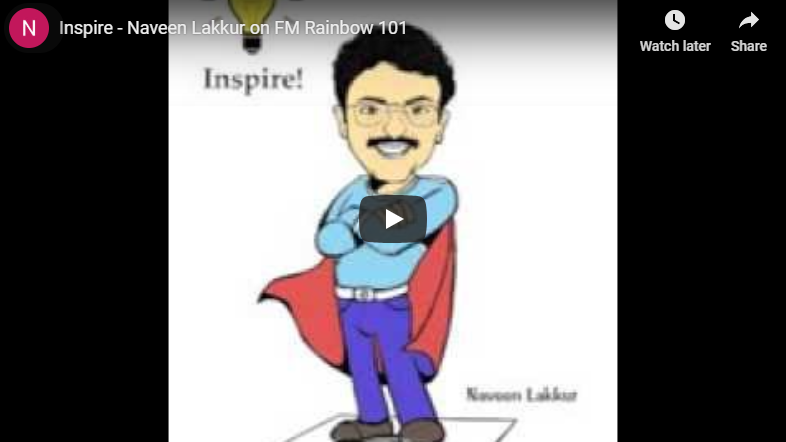 Naveen Lakkur was invited to be an esteemed guest on Inspire, a radio program by FM Rainbow 101 in Bangalore. Listen to what inspired Naveen to be the multifaceted person. Learn more about how he overcame many challenges and be inspired to do more!